DWF50C (1965) Bedford VAL14 . Plaxton Panorama C52F. Ex-Abbey . Selby . Seen 6.85 Wiltshire . 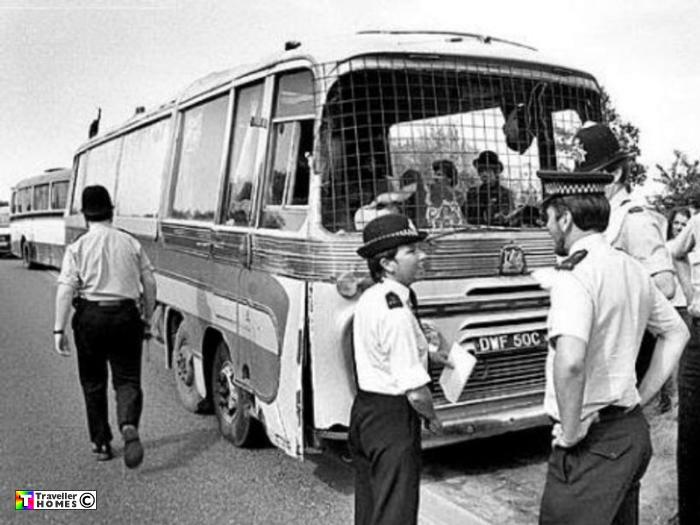 Part of the convoy's tailback as it tried unsuccessfully to get to the Stones .. By the looks of the 'windscreen' it had already encountered uk police v Traveller tactics . Later in the day it received a severe trashing & its occupants . Earlier owned by Steve Jones .. Photo = Tash .